I regret ever subscribing to this podcast and I regret ever listening to Unobscured. You disgusting, hypocritical, bigot Aaron. Respect free speech NO NEGOTIATION. You DONT deserve to host a podcast. For all you that support this show you should be ashamed. I listen to this on my way too and from work. It’s creepy because so much of the myths are based on real history, but Aaron’s voice is so calming that I’m never too spooked. Especially nice to listen to on rainy days. Was a paid supporter. Canceled and will never listen again after hearing of Aarons childish crusade against sword and scale plus all their affiliates. Pathetic. This podcast came into my life at a time of struggle when I had fallen out of touch with myself. It reminded me of a time when I loved mystery and truly helped me. Thank you Aaron! The stories told are great. Interesting folklore, some forgotten, are told with a great weaving of the tale. Hi. Love the way this show intertwines narrative, history, and folktales from all over the world. This is simply a fantastic listen, every time. Lore is one of my favorites. Beautiful music. Excellent storytelling. Eerie myths and strange and poignant truths mix for a truly haunting experience. One of the best podcasts out there! Aaron Mahnke and his team present compelling, well-researched stories that make you think, and might even inspire a dream or two. Highly recommended! I love this podcast. The thought and in-depth study of not only the facts, but the human side, the emotions of the the people in the history and myth and lore (wink) are told in just a way that it draws you in. It’s addicting, but also the soothing voice is quite the weapon on late evenings. Can’t wait to see what else happens in this brilliant world that continues to expand into other forms of media! The halloween live show from last year was thrilling! I have trouble sleeping so I always turn on Lore before bed. Now that’s not an insult! I love the stories, lore and history with these podcasts! It’s very calming and helps me focus on something. At some point I fall asleep and listen to the rest later. Super great story teller! He’s one of those politically correct do gooders who’s always an alley.....and always in the friend zone....and it’s staring to make him a a little nuts. Warning to those close to him.....he’s a man who’s prone to snap at some point. I like learning about history every day. His voice is very captivating and soothing. And it is full of fact based his store cool. I learned a lot about a lot of places in the United States. They’re upset because they believe Aaron is the reason the sword and scale podcast was cancelled when it was really the man who created it. Why do you have to screw over other great podcasts? I guess because your terrible ideas can’t keep up with more creative people. I started listening to Lore around episode 30. It was Fall and I was craving something spooky. I never thought I would be so enveloped and enamored with a podcast. I recommend it to everyone who enjoys a good story. The books and tv show on amazon prime are also a great addition and standalones. The first podcast I ever listened to and am having a hard time finding others that can fill Aaron’s shoes. Started at #85 and worked my way back to #1 and then finished the more recent ones. Great narrative, wonderful stories, and love Aaron’s voice. I have recommended this several times. I cannot get enough of this podcast. 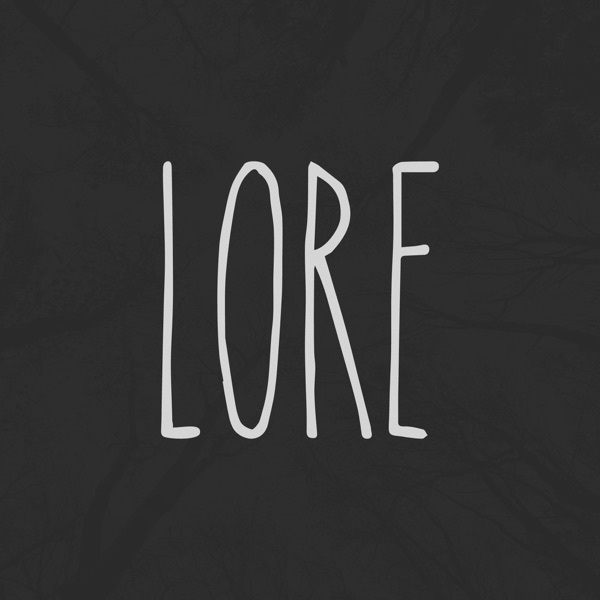 I fell into it backwards when the first season of Lore was released on Amazon Prime, and I realized it had been a podcast first. It's such a neat show with excellent research and storytelling. Even stories I was already familiar with seem even more interesting after listening to Aaron's storytelling combined with the fascinating facts or stories dug up by his research team. When I first started listening to this podcast, I had no idea why the writer was using a voice machine to narrate his stories. Now I know it is his actual voice. The writer also likes to go on twitter to start arguments with other podcasters. Very unprofessional. Excellent work, ignore whiny bad reviews. Why does Aaron Mahnke care what Mike Boudet says? I’ve listened to both Lore and Sword & Scale. Lore was fine but Sword & Scale is a better podcast by any measure. I don’t care about political correctness, I don’t care what your religious or political beliefs are. I just like good content, regardless of your political agenda. Live and let live, just because you disagree with someone doesn’t mean you’re right. I will never listen to another episode of Lore and will actively discourage all friends and family from listening. I simply cannot condone this behavior. Social media is not real life, it’s a fun house mirror. If you want a fun way to dive into some folklore from around the world and remain captivated while doing so? This is for you. The music sets an excellent tone as well. This could be a really good podcast, but the speaking cadence of the host is really annoying. You aren't Shatner, buddy. This podcast is fantastic and has really stood the test. The whole way its presented is engaging and leaves you always wanting more. Mahnke seems to channel Von Daniken and Shatner for this podcast. Von Daniken for his utter credulity and Shatner for the weird seemingly random unnecessary pauses littering every sentence. It is too bad because the topics are fascinating, but when presented with virtually no critical thinking it is a waste. I mean, the Jersey Devil is real because so many supposedly saw it. Come on, now. If that was true Elvis would still walk among us. And, Aaron, just because someone else said American Naval hero Stephen Decatur saw the Devil doesn’t mean he was actually a witness. You can do better. I love this podcast and the Amazon prime show. It’s unfortunate that the majority of the bad reviews are from people swept up in drama about podcast politics and not actually rating the show. You can ignore most bad reviews based on the level of anger - lol. It’s good, interesting, and well thought out. I recommend listening. I pretty much only listen to any podcast created by Aaron Minke, and they are some of the most creative and alluring things I have ever heard. They pretty much ruin every other podcast for me, although I’m trying to branch out. Please keep up the great work! Don’t waste your time, try giving S&S a listen instead! Annoying. I can’t get behind a podcast that has destroyed another well respected podcast with mob mentality. Now when I listen it just irritates me because I feel so angry towards those behind it, ruins the whole show. Used to be one of my favorite podcasts, but it seems like recently they’re running out of good material. After about 4 years of listening, I’ve decided to unsubscribe. If anyone from the show actually reads these - maybe you guys should expand the parts of the world you pull these legends from since you’re clearly running out of good stories from the US.